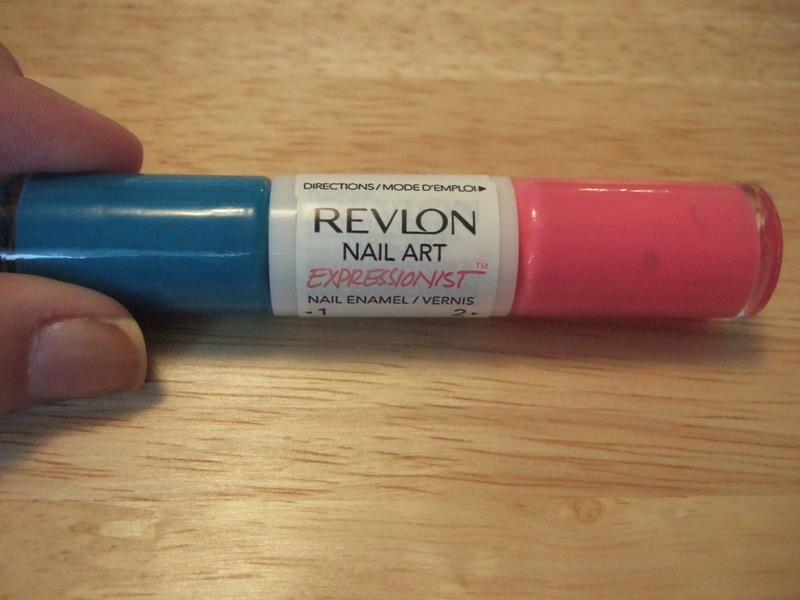 Get your hands on a Revlon Expressionist duo-wand colour. 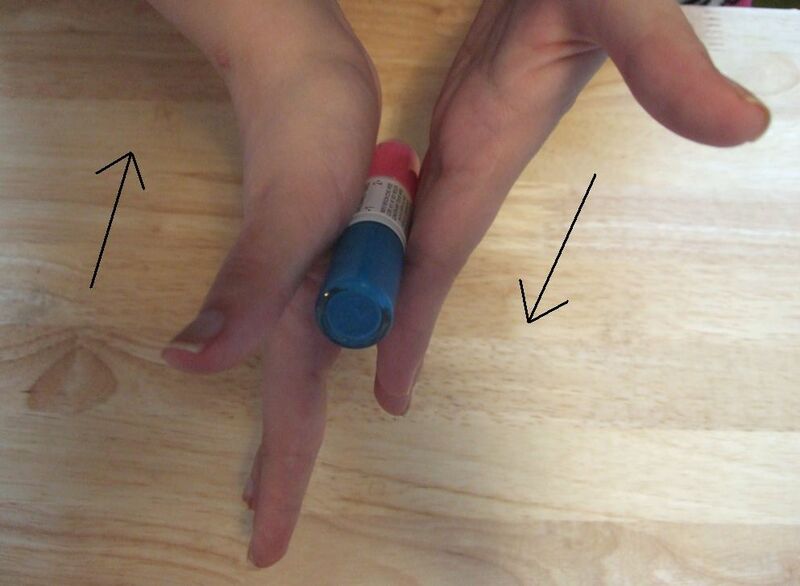 Roll the bottle in between your hands, back and forth, instead of shaking the bottle. This is to avoid bubbling polish . 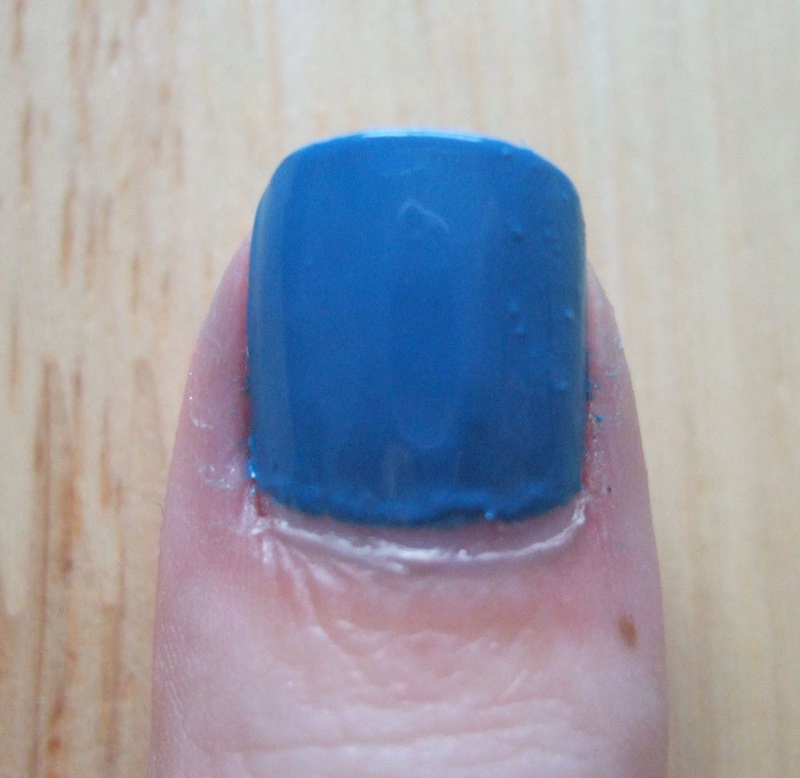 Paint 2 coats with the base colour . 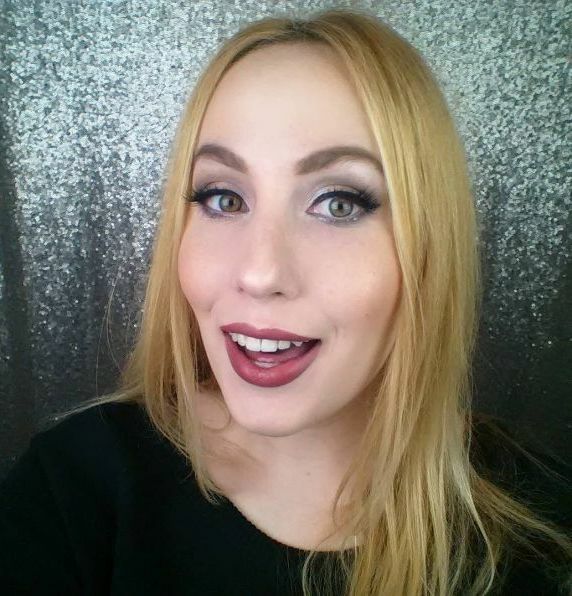 This Base in the Expressionist collection will be labelled as number 1. 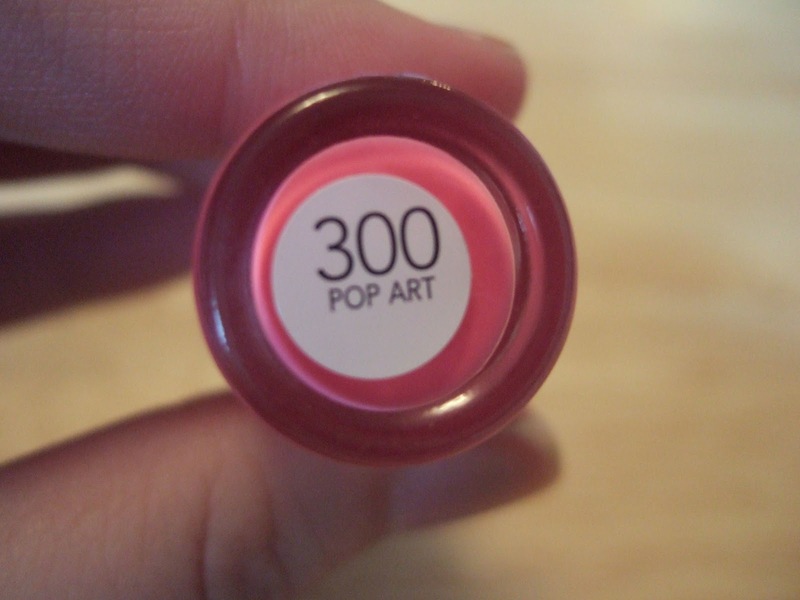 Place a dot about halfway to the top of the cuticle, with the Expressionist colour labelled number 2 (Comes with a thin nail art brush). 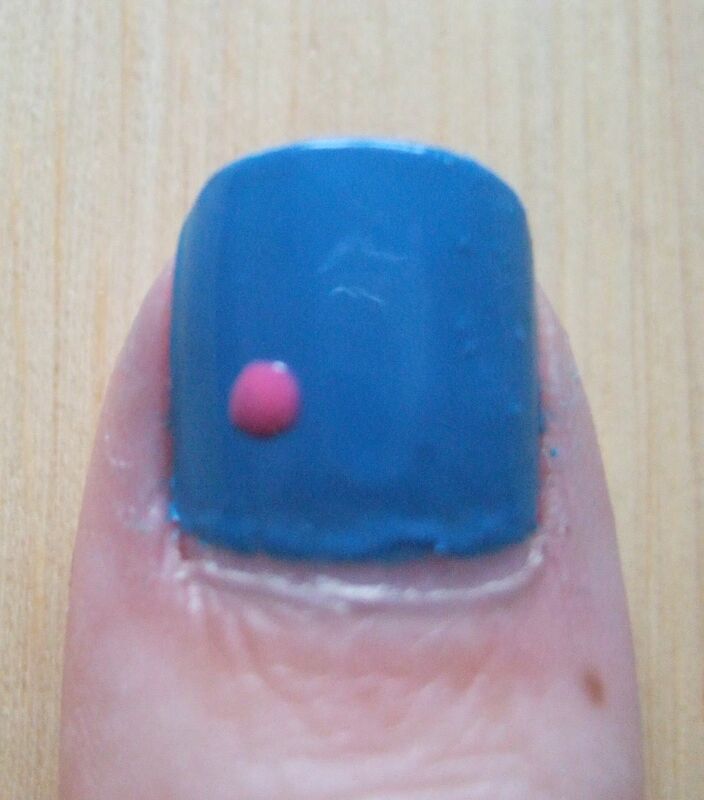 Make a line connecting the dot to the end of the nail. 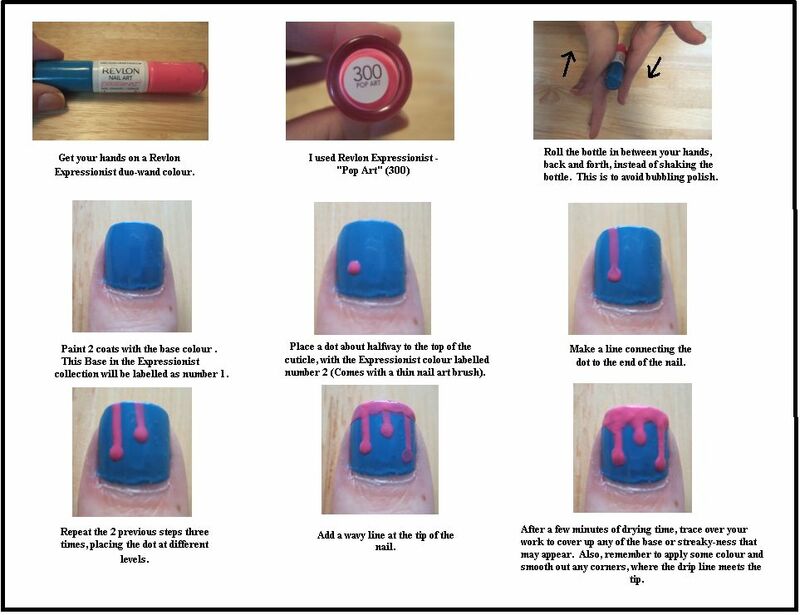 Repeat the 2 previous steps three times, placing the dot at different levels. 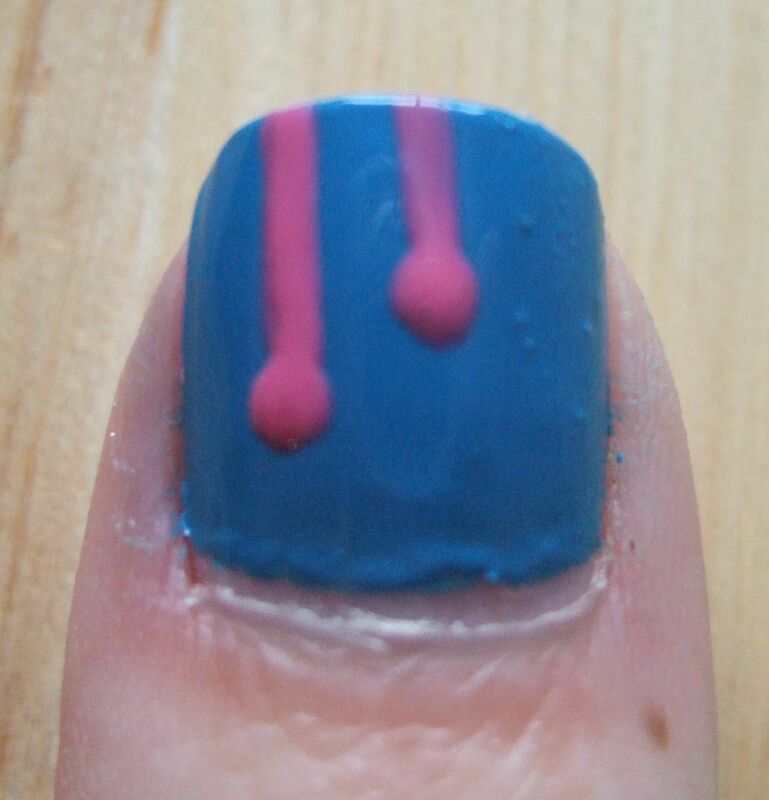 Add a wavy line at the tip of the nail. 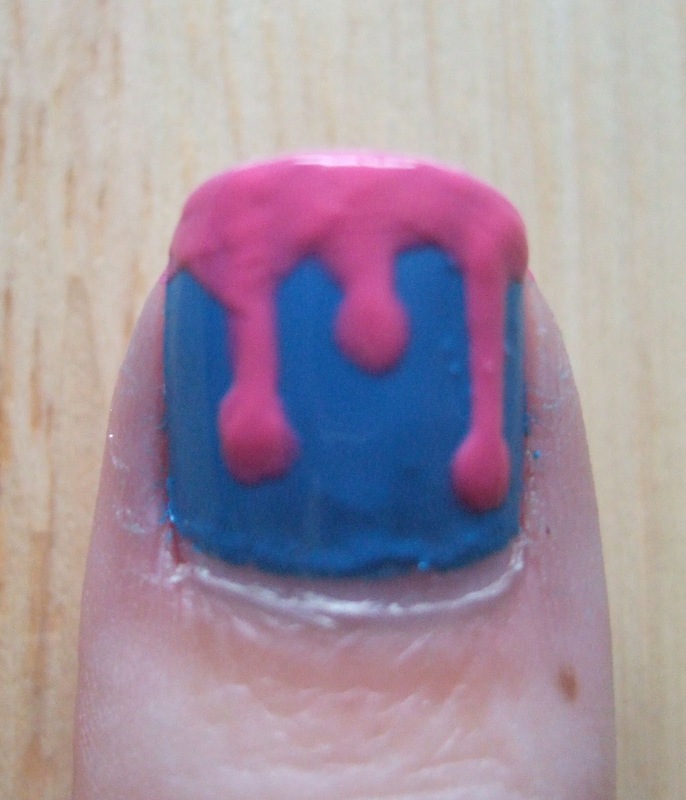 After a few minutes of drying time, trace over your work to cover up any of the base or streaky-ness that may appear. 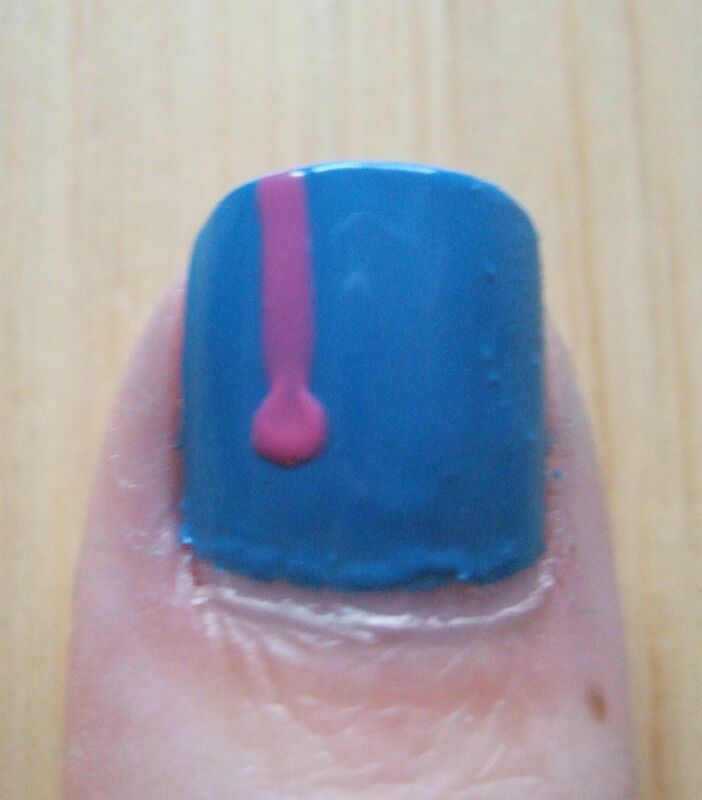 Also, remember to apply some colour and smooth out any corners, where the drip line meets the tip.